As I posted previously, these muffins were made using this recipe available at Cooks.com. 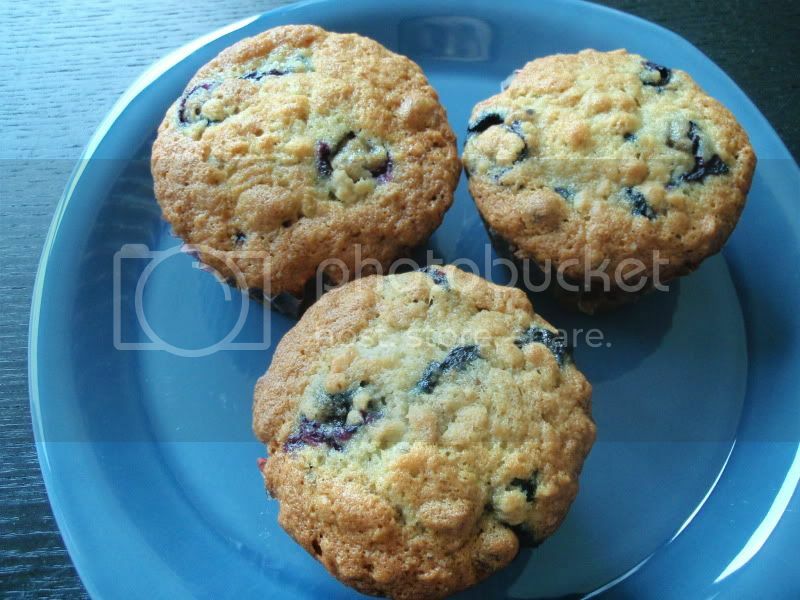 I loved this recipe as the muffins came out moist and delicious! I am retyping it below to indicate the modifications that I made to make muffins. Prep muffin tins with liners or spray with cooking spray. Cream together butter and sugar. Beat in eggs. Add mashed bananas. Measure flour, reserving 2 tablespoons of flour to coat blueberries. Stir baking soda and salt into flour, mixing well. Stir in oats. Fold into banana mixture. Stir in vanilla. Sprinkle the 2 tablespoons flour over blueberries, then fold into batter. Stir in nuts. Transfer batter to muffin pans. Bake 25-35 minutes until a toothpick comes out clean.